Immediately upon arriving in Madrid for our study abroad program, my friends and I proposed our first trip to be during our third weekend abroad. 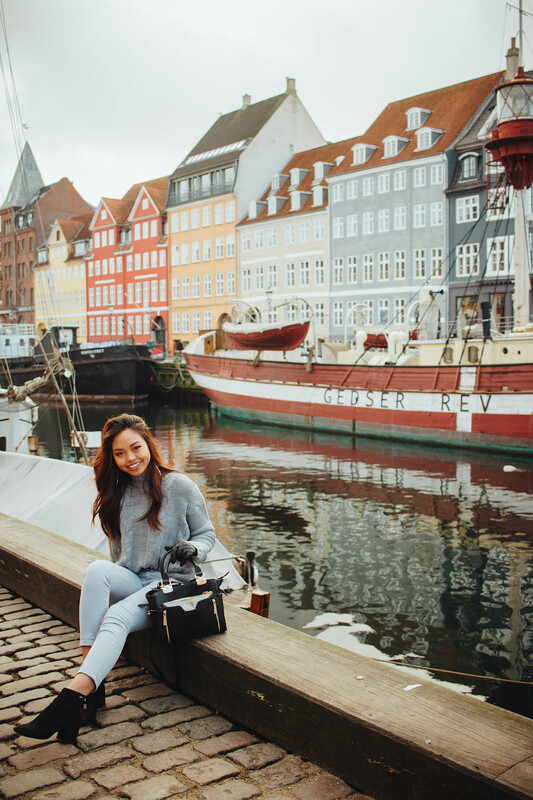 We had an abundance of choices to chose from and ultimately decided on Copenhagen, Denmark as the best-valued and promising choice. We booked tickets for the last weekend in January, and despite the chilly and crisp weather, we made the most of our three days spent there. Scroll to bottom for a Google maps of all the sites, restaurants, hostel, and more. 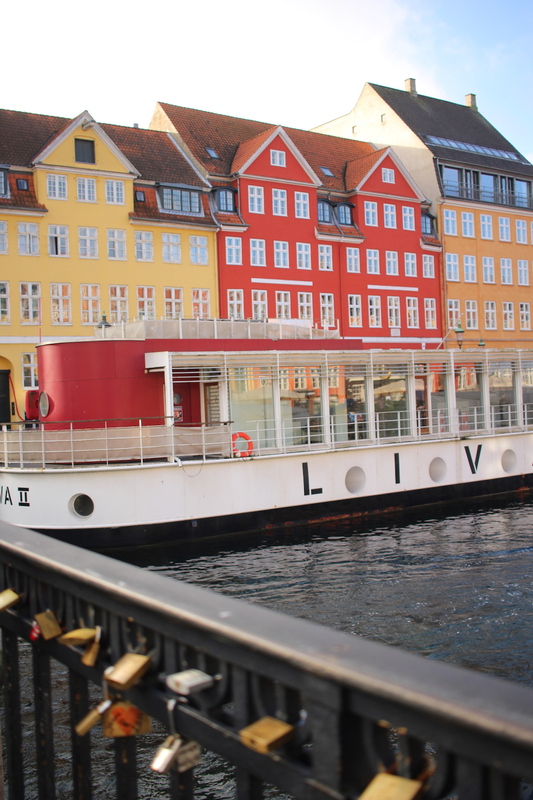 Since Copenhagen is notoriously know for being on the pricier side, we spent our time searching for a decent hostel without draining our bank accounts. Since I booked a flight through Norwegian Air, I was able to receive a discount by booking a hostel through their link sent via email. The hostel we stayed at was Annex Copenhagen which was the perfect biking distance to all major areas. We were able to get a private room with a sink, shared bathrooms, and included breakfast buffets for around $35 per night. The best (and only) way you should get around Copenhagen is by bike. We rented our bikes from Halmtorvets Cykler since it was right next to the hostel and cost us only $12 for the day until 6pm. Other recommended bike rentals are Baisikeli Bike Rental and Donkey Republic. 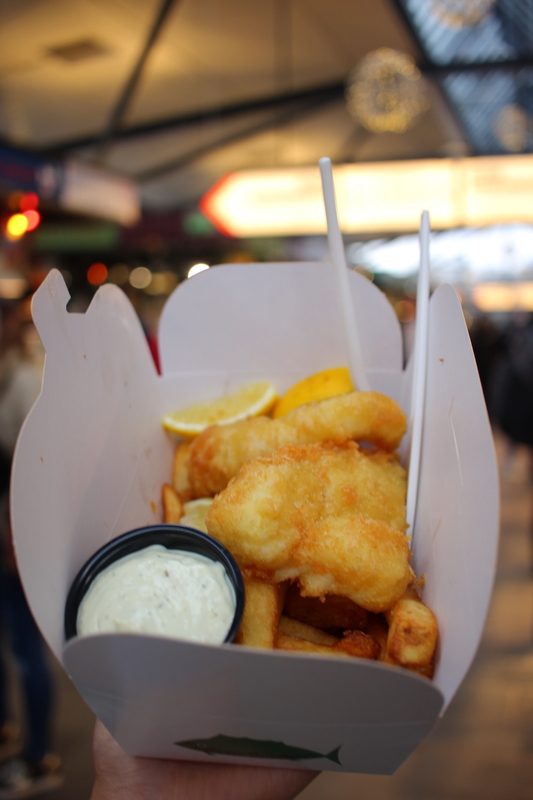 This is definitely a must when in Copenhagen! Torvehallerne Market has the most amazing seafood, tapas, dessert, and more. 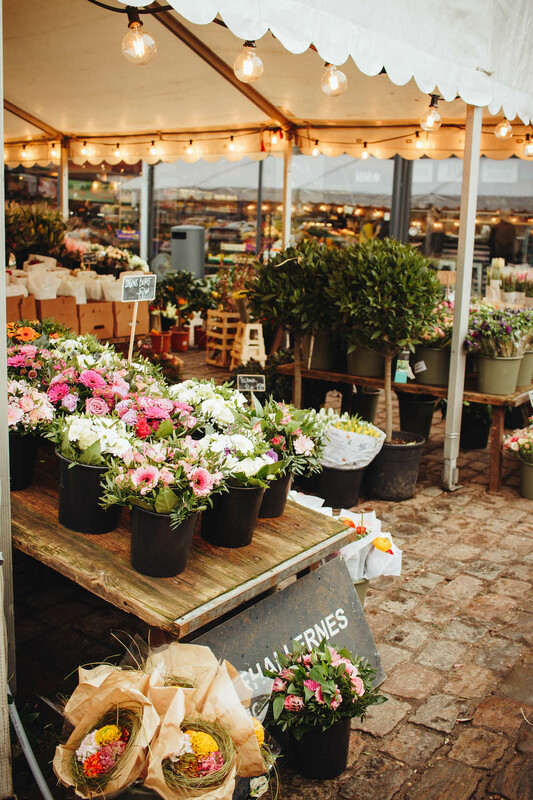 Luckily, it is mainly indoors which is perfect to roam around the different booths & shops while staying warm. 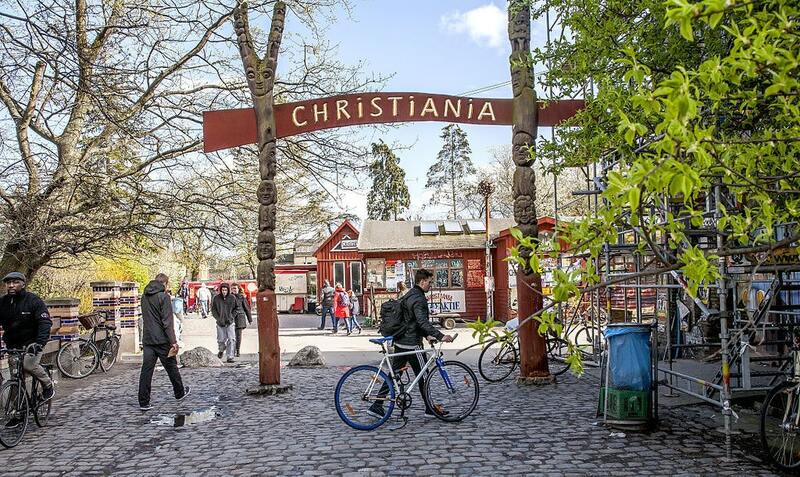 Christiania was rather an interesting addition to our trip in Copenhagen. 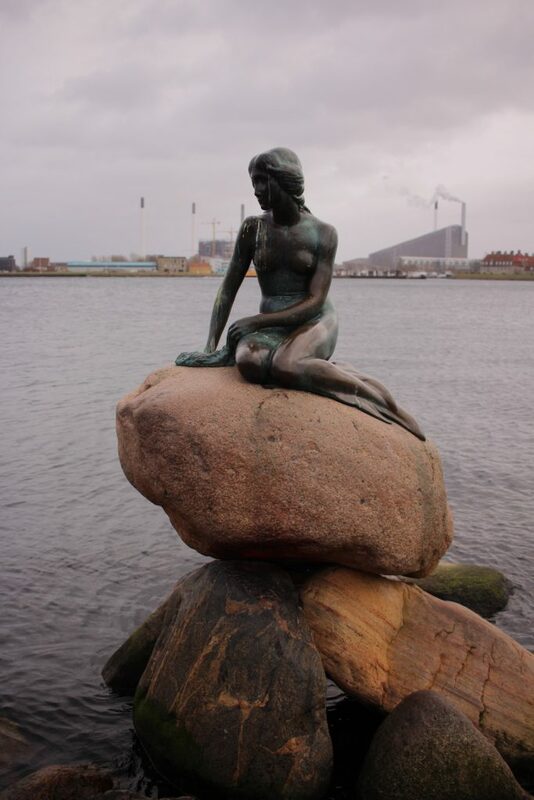 This “hippie-like” town is a center of the progressive and liberal Danish community. Also referred to as the Green Light District, this place is governed solely by 3 rules: 1) Have Fun, 2) Don’t Run, 3) No Photos. WestMarket is another indoor market much larger and meant for sit down meals. 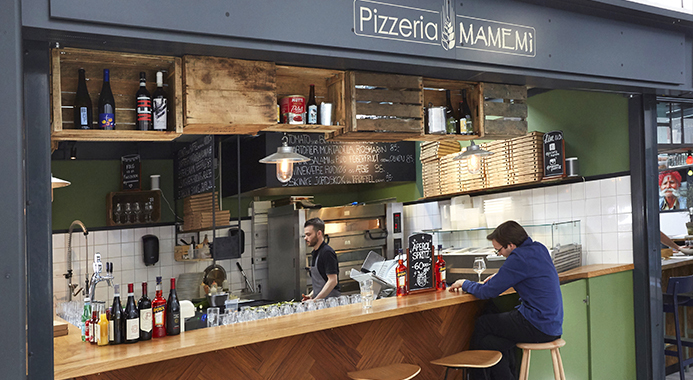 We ate the most amazing pizza at Pizzeria MaMeMi. There is a multitude of restaurants of different food cuisines. 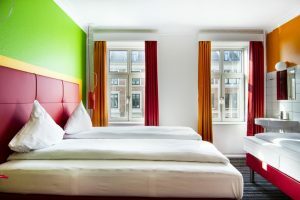 The Meat Packing District is incredibly close and walking distance to the Annex Copenhagen Hostel. We had a few drinks at NOHO bar and went dancing at Jolene Bar. Since it can get cold and gloomy in January, going to Nyhavn in the morning was the best time to catch a bit of sunlight. The colorful, bright houses are just as stunning as in the photos. 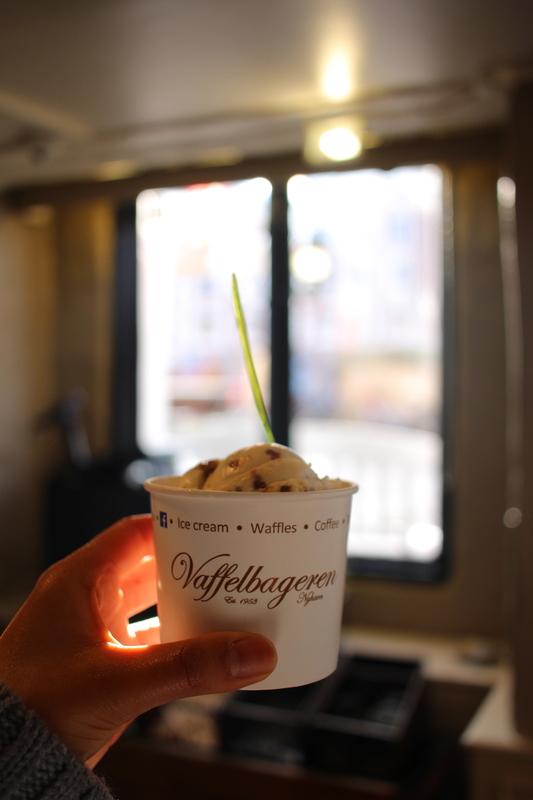 If you want to stop and get a quick treat, go to Vaffelbageren for some amazing ice cream. 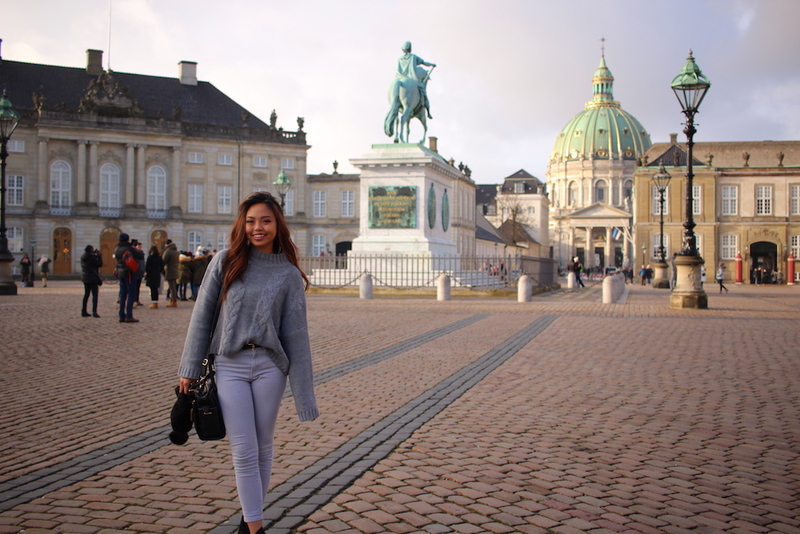 Amalienborg Palace is the home of the Danish royal family and a lovely picturesque place to marvel at. 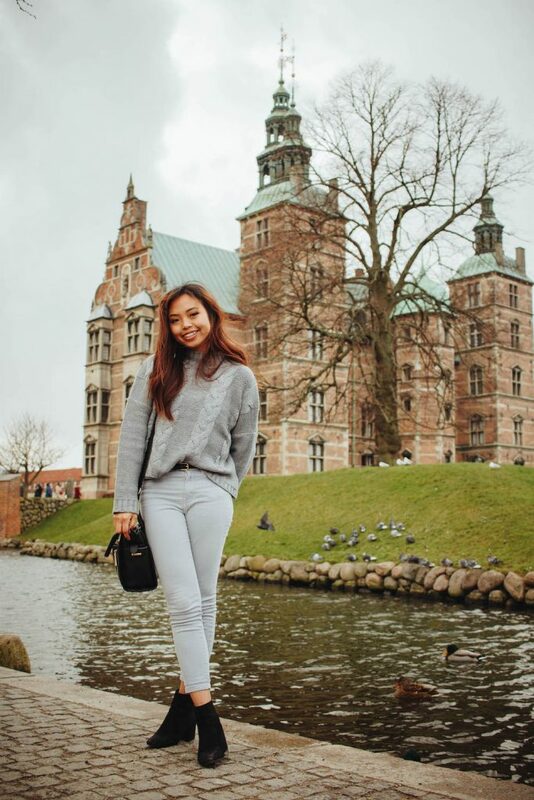 Rosenborg Castle is one of the most visited sites for its gorgeous gardens and architecture. The castle is smaller than what appears in the photos, and the most greenery you’ll get in the winter is the grass. However, it was still beautiful to sight-see and capture photos. Though this was a go-to spot on our list, we were unable to eat here due to a lack of a reservation. Thus, if you are planning on eating lunch in either the restaurant or deli (which are right next to each other), be sure to reserve a spot ahead of time. 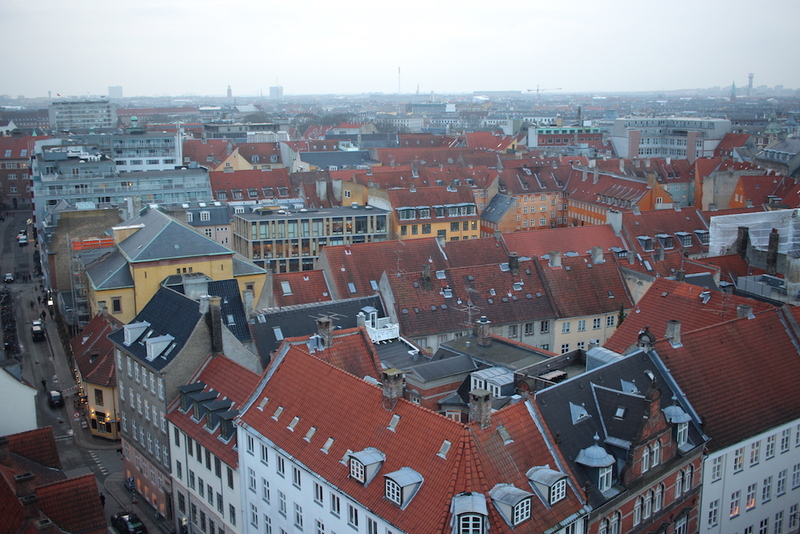 This is by far the best view to get in Copenhagen for your buck. You do have to walk up in an elevated spiral and then some stairs afterwards, but I think it was definitely worth it! 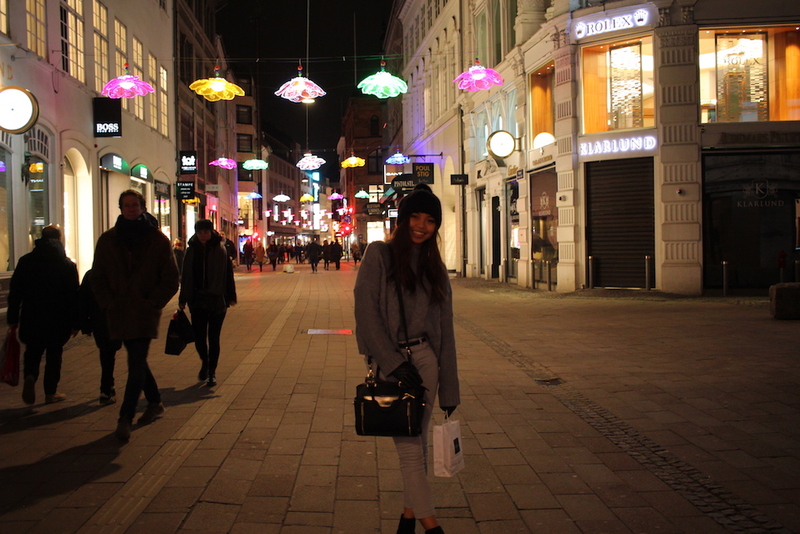 Stroget is the main shopping street you can take a charming stroll along and window-shop (or just shop). 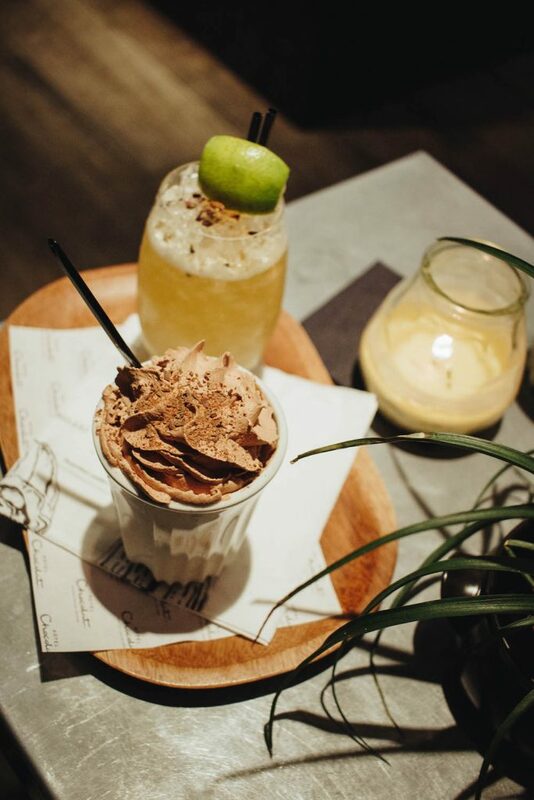 If you love everything chocolate, then definitely visit Hotel Chocolat, found in Stroget street. Luckily, we went to the opening night of the Hotel Chocolat Bar and ordered hot chocolate and cocktails. You can also buy the endless chocolate-inspired goods they have, which can be anything from chocolate pasta to truffles to even chocolate lotion! This iconic statue is a bit out of the way, but if you do have extra time you can bike here and check it off your list. The Palace has separate tickets corresponding to what area of the castle you want to see (the kitchen, the stables, the royal reception rooms, etc.). The Parliament is typically the room most desire to see, but unfortunately it was not open during the day we went. 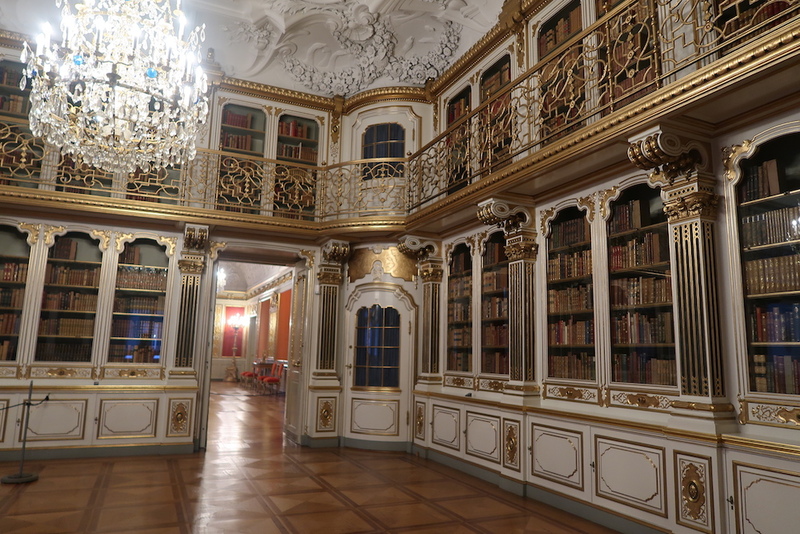 Thus, we visited the Royal Reception Rooms which were breathtaking grandeur. I was unable to eat here due to an earlier flight, but it is a well known cafe for the best cheesecakes in Copenhagen.